Welcome to Belallure Laser & Wellness Center. Our Laser Medical Spa in Magnolia, Texas takes a comprehensive approach to transformative skin and body care. We offer you a modern day oasis dedicated to nurturing you and enhancing your personal wellbeing. Belallure’s staff of superbly trained technicians invites you to enjoy our services in an atmosphere of calm and privacy. 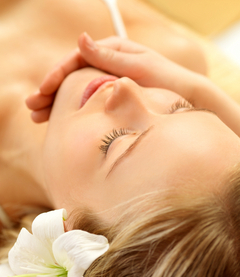 Our extensive menu provides an array of treatments for a relaxing day of beauty. Allow us to pamper you with a luxurious massage, facial or body wrap. Our state-of-the-art skin and body care treatments are skillfully provided under a physician’s supervision. Treatments include bio-identical hormone therapy, weight-loss treatment, cosmetic injections, laser hair removal, derma fillers and injections, spider vein treatments and more. We make it easy for you to do something special for yourself. Gift certificates are available. Surprise that special someone in your life with a day of skin and body care pampering to boost their spirits. Our exclusive Laser Medical Spa is conveniently located on FM 1488, adjacent to Magnolia Family Practice.